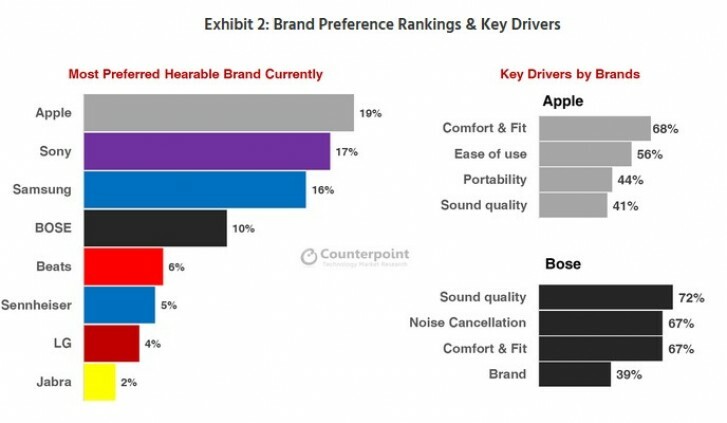 On Friday, Counter Point Research published a report about the future of the wireless earbuds industry. “The global market for true wireless hearables is estimated to reach a volume of 129 million units by 2020,” this according to the latest research from the firm. 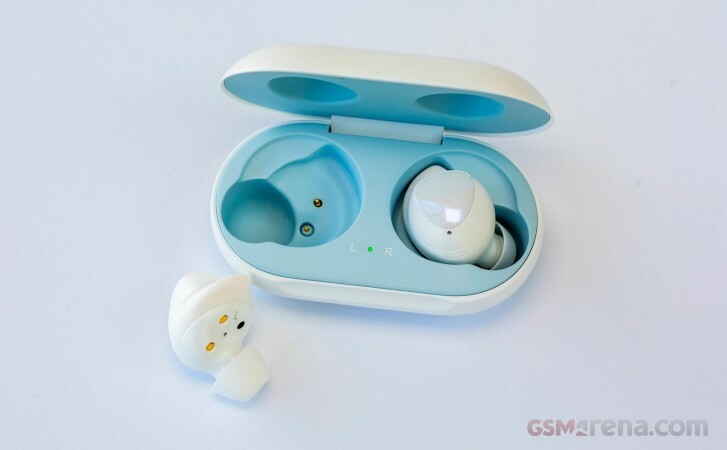 The research firm attributes the expected growth to the anticipation of the a new-generation of AirPods that are due to be announced sometime soon and would be aggressively marketed to compensate for the recent decline in iPhone sales. At the same time, the firm estimates Apple Airpod sales somewhere around 35 million units and taking around 75% of the total market share for wire-free earbuds. 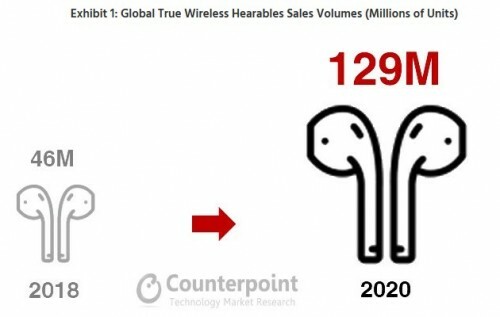 It is believed that Samsung (which just released the Galaxy Buds), Bose, Jabra, Huawei, Bragi, and LG will further drive the market of these “hearables” and that Google, and eventually Amazon and Plantronics would enter the wire-free trend as well. Smart assistants in these hearables are expected to drive the market forward, eventually polishing other useful features like hands-free directions, real-time translation, and tracking vital health information. Those who will benefit from this growing industry are lithium ion battery producers, and component makers who make microphones, sensors, chips, and producers of small sound driver components. Check out the link below for the full report. Maybe not but jack is obsolleter and have no place and space in 2019. Enough is enough.